Satin Stretch Gloves Below the Elbow Below-the-elbow length satin gloves. These less formal gloves work well for a variety of occasions. With 10% lycra or spandex one size fits most, usually 5-9. 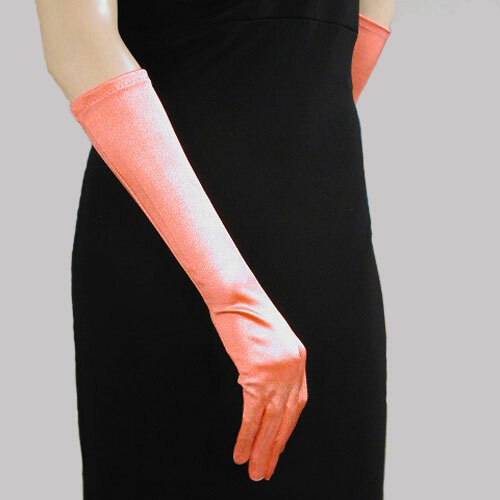 These gloves are perfect for sleeveless or short sleeve cocktail dresses. They add just the right touch for evening. You will see this length at weddings, proms, dances and other evening events. Color: coral Hue: Code: #FFA365.